Bwin is a betting site where you can do betting in different sports. You must create your account to enjoy this site. 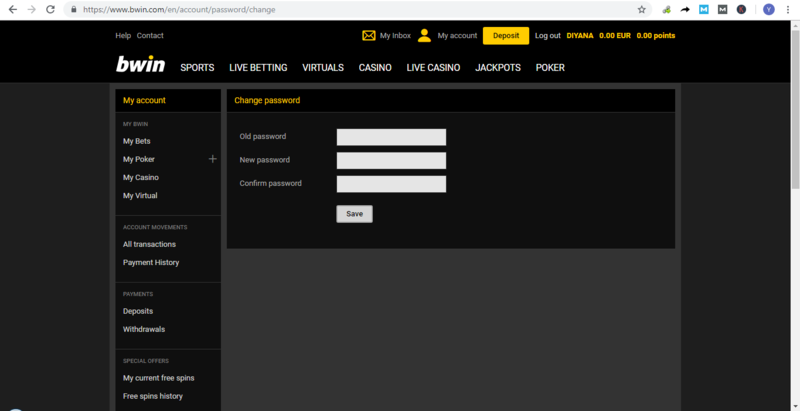 If you have already account on Bwin and forgot the password of it or want to change, then we have covered the reset and change Bwin password here. Enjoy! Go to the browser and type bwin.com then open the page. Click on “LOG IN” which is in yellow color box on the top of the page to the right. If you forgot your password then click on “I forgot my Password”, if you forgot your user id then click on “I forgot my User ID”. After that enter your email. 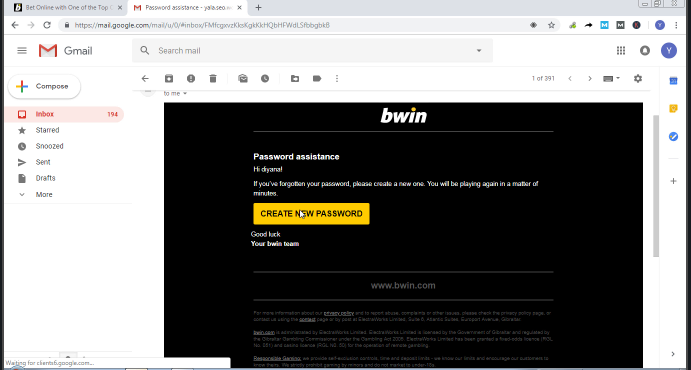 Open your mail box you will receive mail from bwin open the mail then click on “CREATE NEW PASSWORD”. New page will appear where you have to enter your new password then click on “RESET PASSWORD”. After following above steps your password has been reset and you can log in to your account. Open the page of Bwin and login to your account. Click on “My account” which is on the top of the page. Then scroll down the page and click on “Change password” which is just above the advanced settings. Enter your old password and new password then enter password again. Click on “Save” which is in white color box. Your password has been change you can use account. Hence, by following above steps you can reset and change bwim password which is very easy and quick to use. 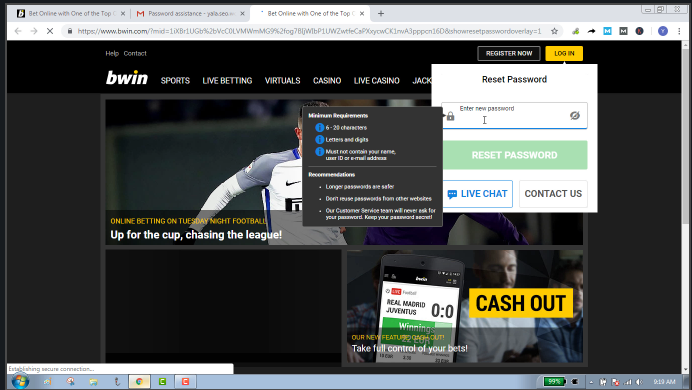 This entry was posted in Account Reset Password and tagged Bwin change password, Bwin Password Reset and Change, Bwin reset and change password, Change bwin password, Forgot Bwin Password, How to change bwin account, How to reset and change bwin account, How to reset bwin account, Reset and change bwin account, Reset bwin account on October 1, 2018 by jcgbyHvNvn.